The Wine bottle lock is the perfect gift when you want to surprise your family or friends. The bottle is locked into a tricky puzzle of wood and strings. Bottle diameter max 8,5 cm. 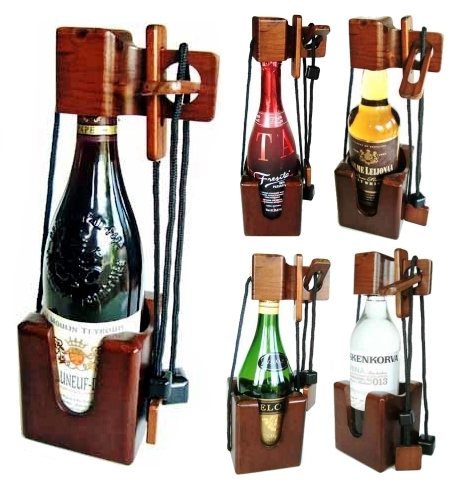 Suitable for wine, champagne, whiskey, brandy or vodka bottles. Comes with illustrated instructons. Bottle not included. This product was added to our catalog on 02.12.2011.